Queen of Puddings is a Great British Pudding! Delicious. 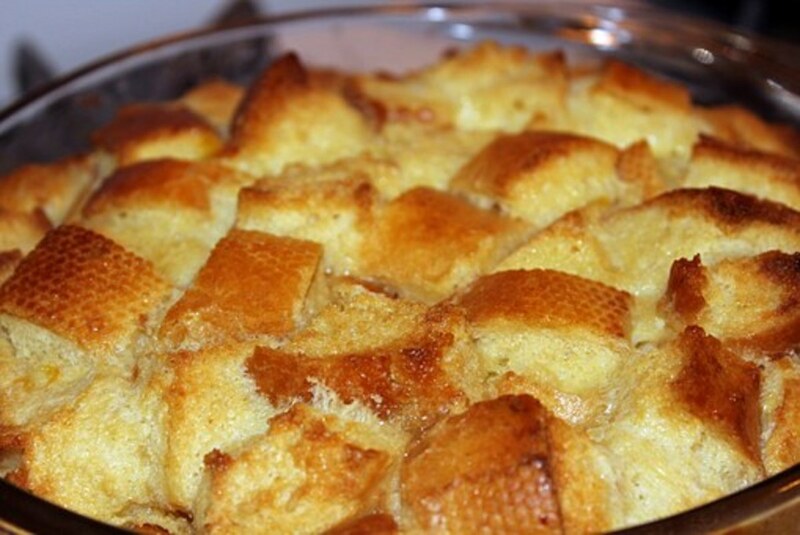 This is the Queen of stale bread recipes and an excellent alternative to the traditonal bread pudding. 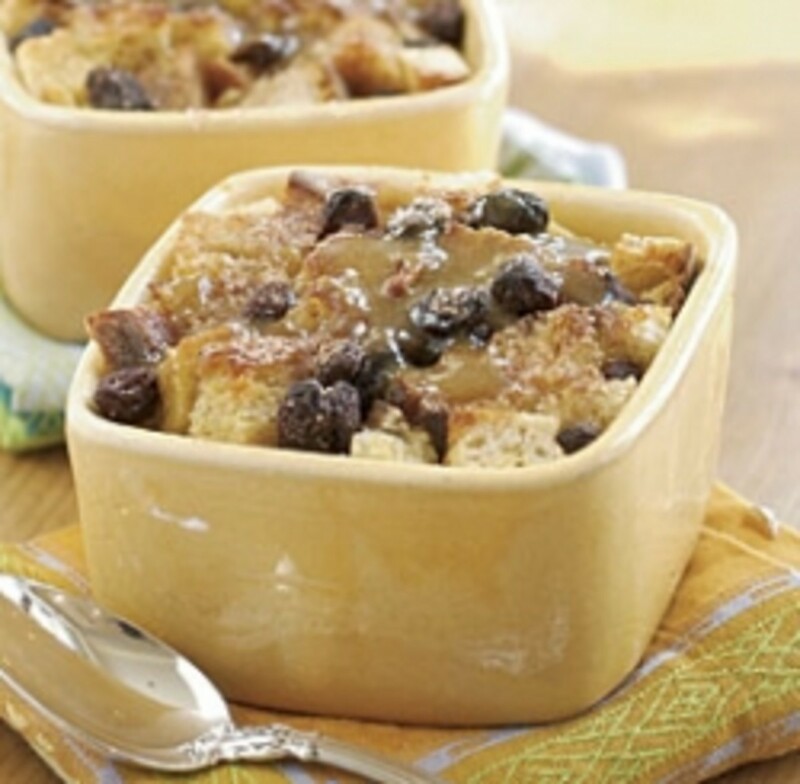 Transform your old bread into a delicious dessert with this easy recipe, reduce waste and save money with this budget-friendly frugal recipe. Having lived in ourBed and Breakfast in Limousin, France for seven years now, I'm only too aware of the pride the French have in their cuisine but even they concede that the British are great when it comes to making puddings. I think that the old-fashioned puds are often the best. 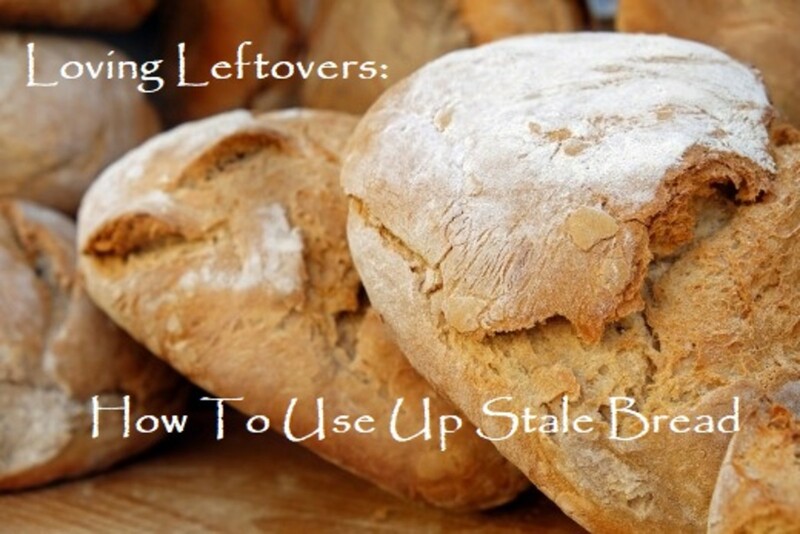 These days it is becoming less and less acceptable to waste food and this is an excellent way to use up old bread helping you to become a 'greener' cook. The Queen of Puddings is one of the tops because it's hard, or near impossible, to imagine that such lowly and cheap ingredients as stale bread, milk, a couple of eggs, a sniff of lemon, a scrape of jam and a spoon of sugar can be transformed into something so attractive to look at and so sublimely gorgeous to eat. It really is a culinary fairy story; your old stale bread is going to be transformed into a beautiful queen before your very eyes! If you haven't already made this dish, you really must try it out! * Raspberry, strawberry, apricot work well, but I used our own home made peach jam and it was excellent! An oven proof dish about1.5 litres with sides about 10 cm high (I tried to make this pudding in a deep flan dish and it didn't work very well!). Grease the dish with butter or oil. Dice the bread and grate the lemon zest. 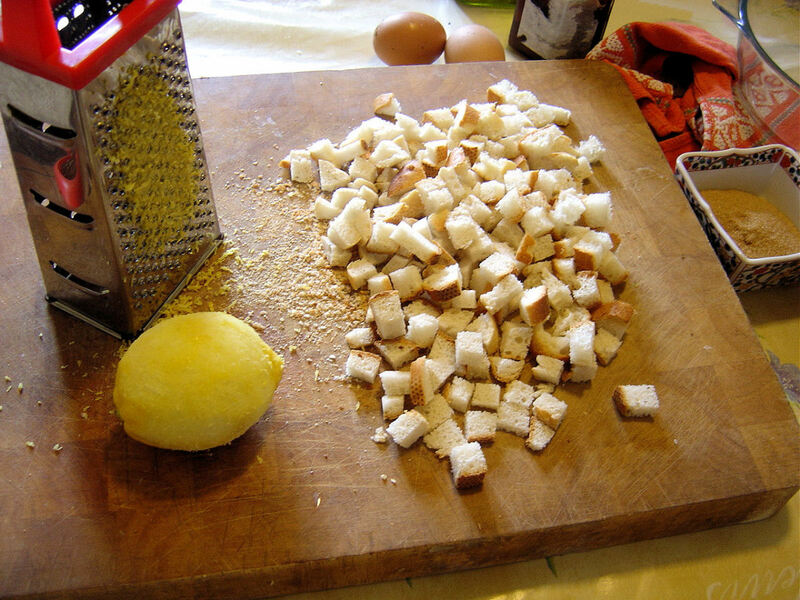 Meanwhile, dice the bread into half-centimeter cubes, or make into breadcrumbs. I leave on the crusts - why waste good food? I you prefer, though, you can cut the crusts off. 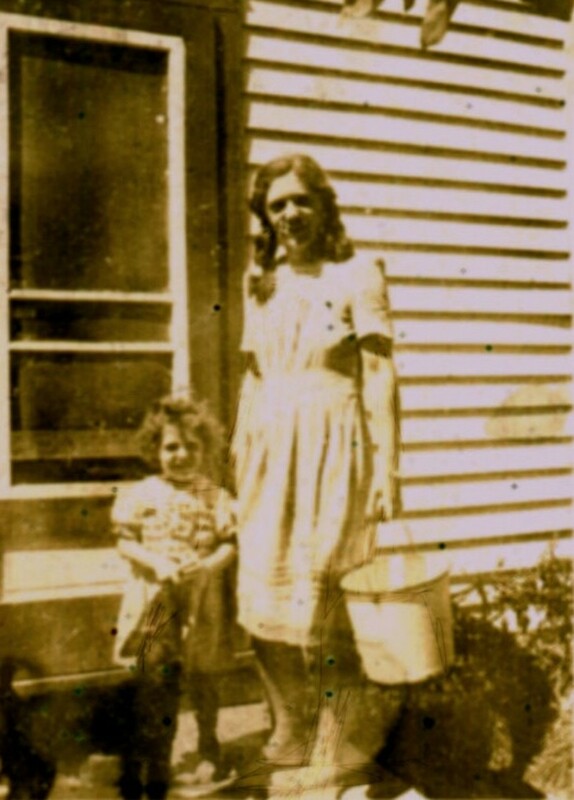 When the milk has boiled, remove from the heat and mix in the bread, half of the sugar, the grated lemon rind, and then leave to soak for about half an hour while you prepare the other ingredients. 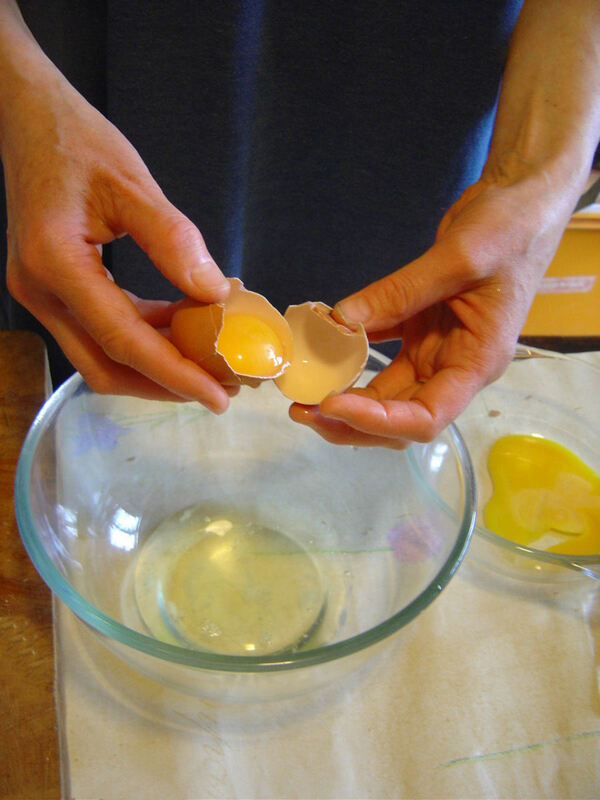 Separate the eggs carefully. It is important not to get any egg yolk into the egg whites (not to mention eggshell) because the eggs won't whisk up if yolk is present. Add the egg yolks, lightly whisked, to the bread and milk mixture, pour into the oven proof dish and bake for about 45 minutes until it is just set. While the base is cooking, whisk the egg whites in a clean bowl until it forms stiff peaks when lifted up with the whisk. 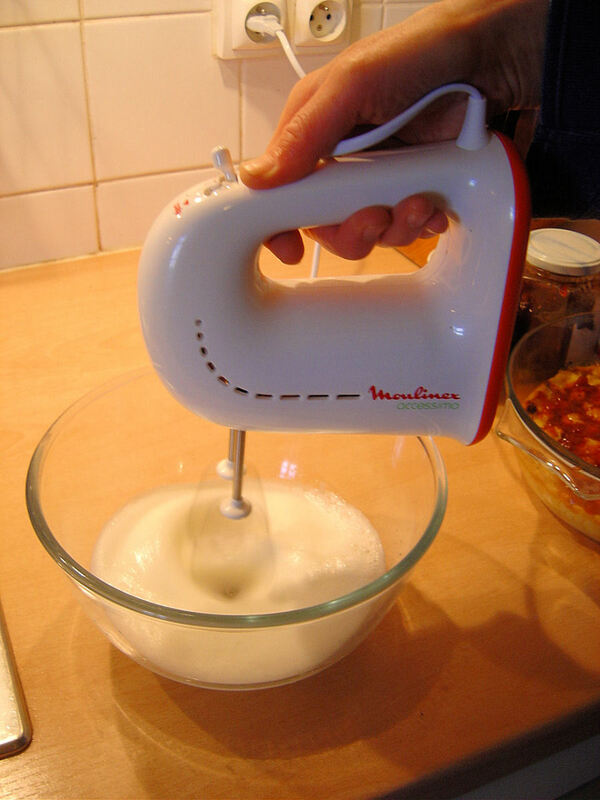 You can use a hand whisk, but this is very hard work and and electric whisk is so much easier. Then whisk in about half of the sugar. 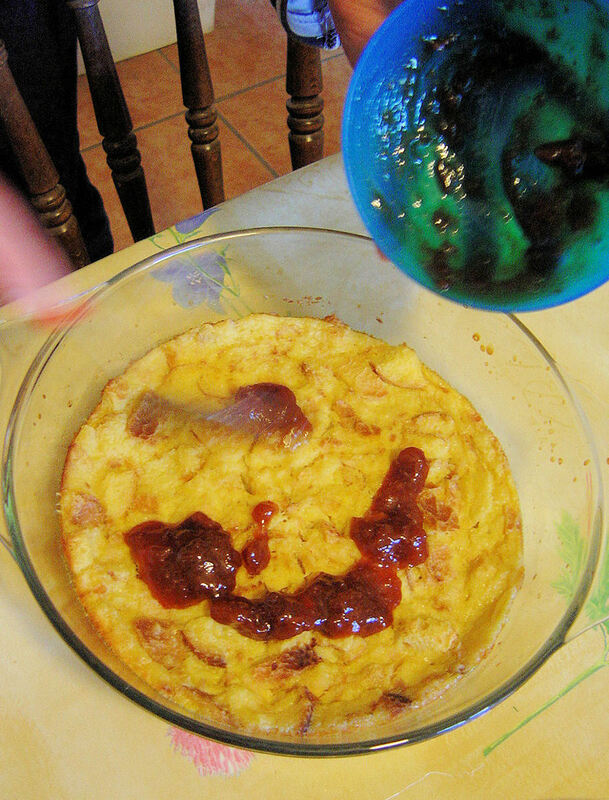 When the base is ready, take it out of the oven and spread the jam over the top of the bread mixture. 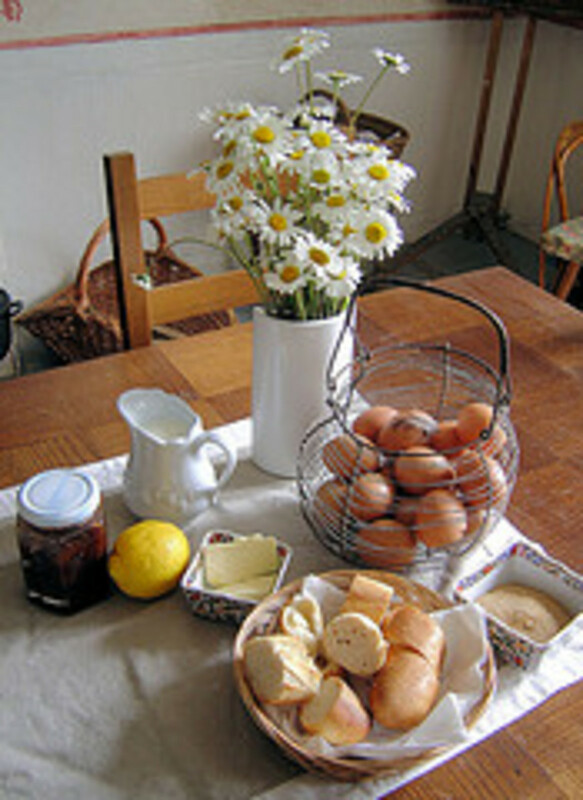 Spoon the egg white mixture over the jam and bread base. 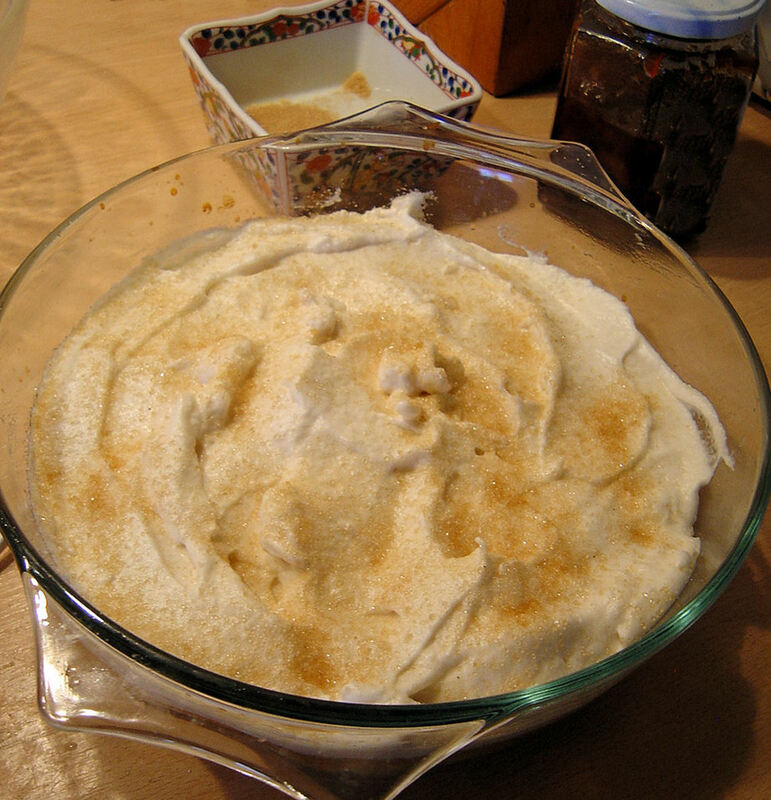 Sprinkle with the last of the sugar and bake until the topping is a nice, golden brown. This pudding is so light and moist that you don't need to serve it with anything else; I can't think of any topping that would improve it! You could serve it though with custard, cream or ice cream. 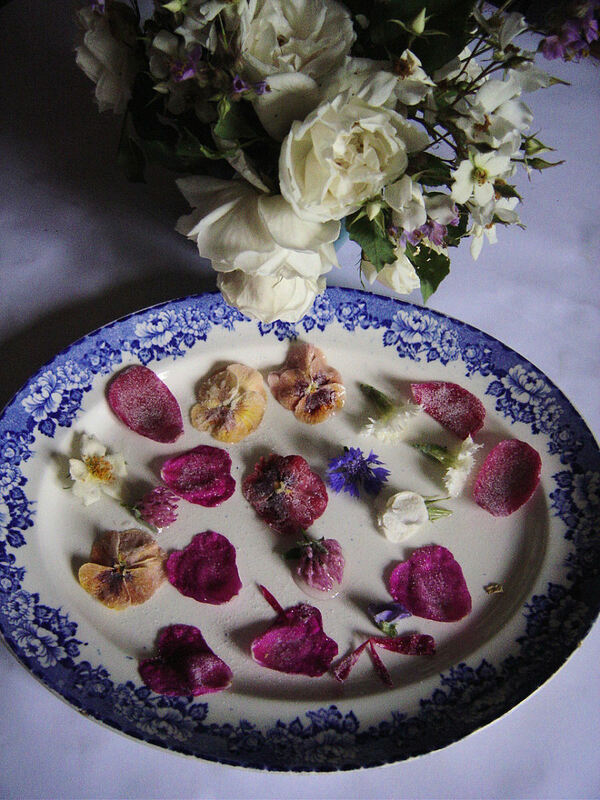 Mine is served on a flat Limoges porcelain plate decorated with pretty sugared flowers that I made myself. These edible sugared flowers are easy to make, if a bit time-consuming, but they do last for quite a while so you can make them in advance and store them. They are so decorative and very special - why not take at look at how to make them? 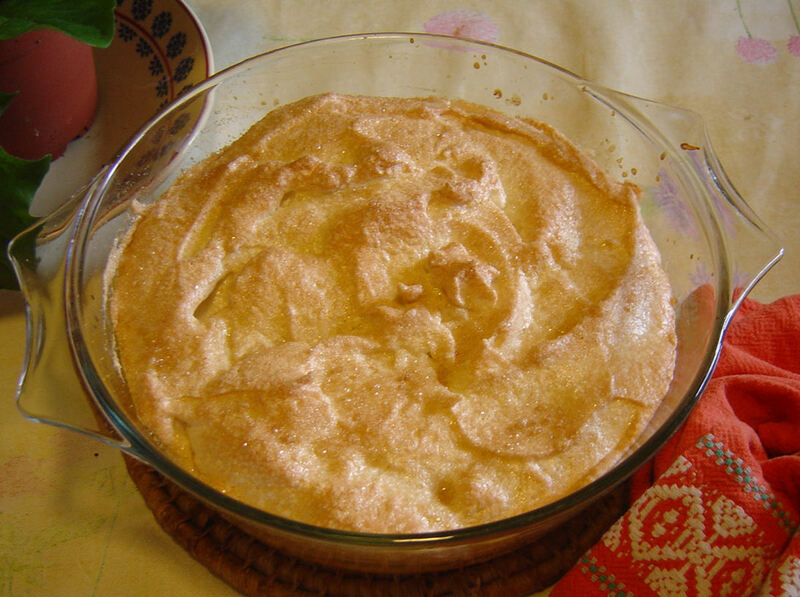 Clafoutis and Flognarde are specialities of the Limousin and Auvergne region, and we serve this dish, along with other regional food and wine, at Les Trois Chenes chambres d'hotes, Limousin, France. Great British Puddings presents pudding recipes, some familiar, others less familiar. We do hope that you find them both useful and interesting. Do you think this really is the Queen of Puddings? I'm so pleased it worked out for you FanUSA. Unbelievably good considering the humble ingredients. Do send pics of any of the recipes if you'd like to. We made the "Queen of Puddings" today and it was absolutely delicious. I will be checking out more of your recipes. Thanks for sharing. Hi Fan USA. I'd love to know how you like it. Thanks for dropping by. Thanks for a great recipe. Can't wait to try it out (actually giving it to my husband to make as he is the better cook in the family). Sure looks yummy Les Trois Chenes. I would love to try out the Recipe. Thanks. Many thanks Frenchholiday and billyaustindillon for your comments. Let me know if you make the pudding. 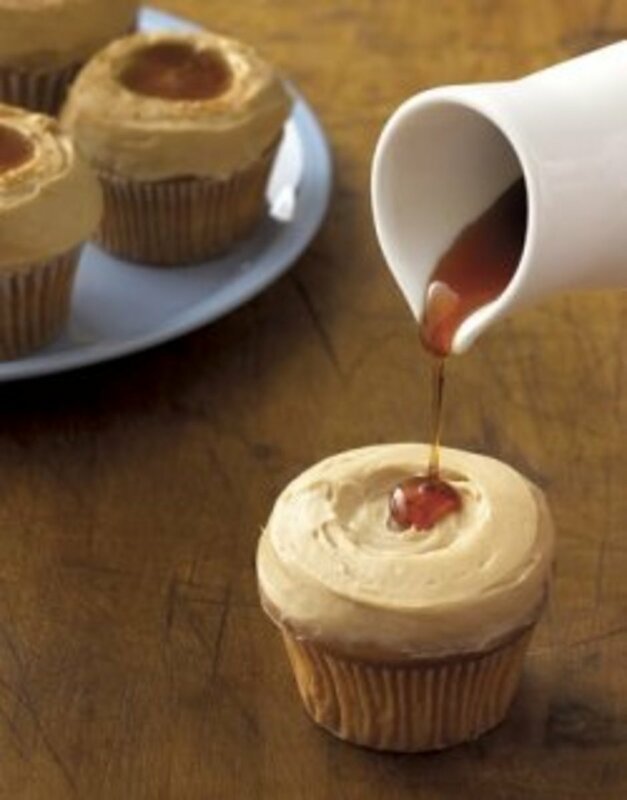 This looks delicious - you have set out the recipe in a wonderful easy to follow pattern. I can't wait to get to trying this recipe. I don't recall ever trying the Queen of Puddings either. So a whole new experience for me. Love the Queen of Puddings recipe! It takes me right back to my childhood. 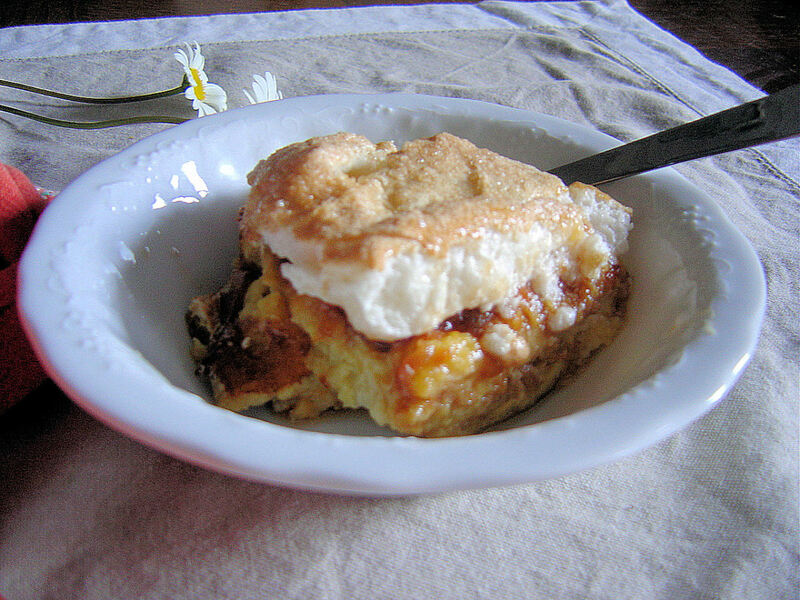 I had remembered bread and butter pudding, with is excellent with french bread, but Queen of Puddings I had quite forgotten. Thank you for posting it.